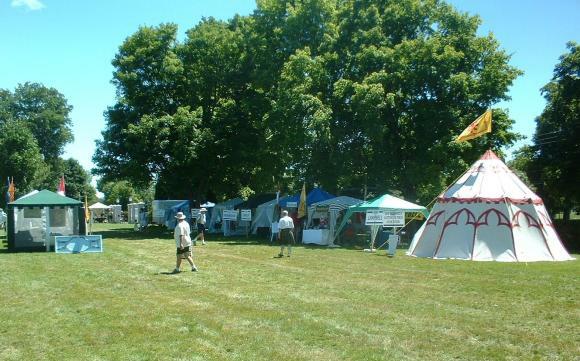 Avenue of the Clans at the Fredericton Highland Games. 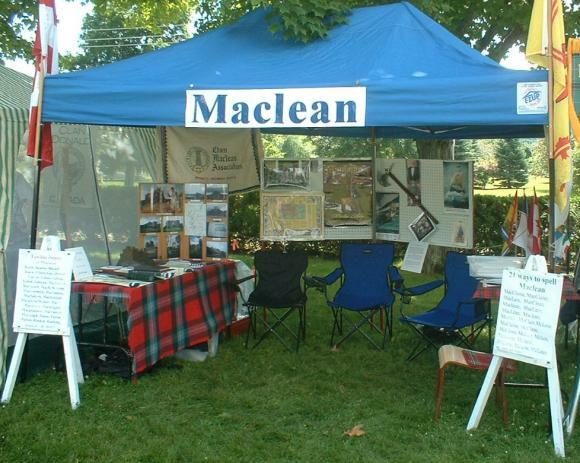 The Maclean Tent at the Fredericton Highland Games. 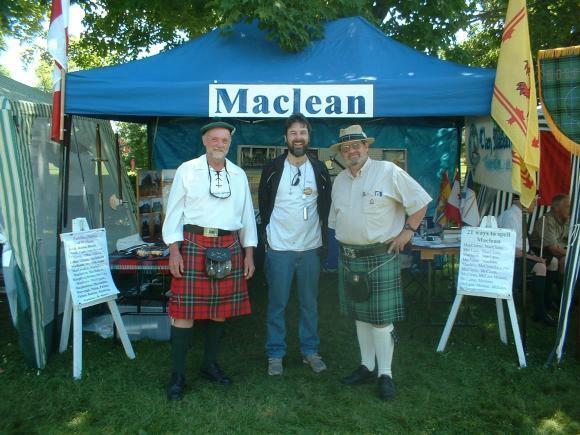 Frank, Doug, and Ian in front of the Maclean Tent. Massed bands. You can never have enough bagpipes! 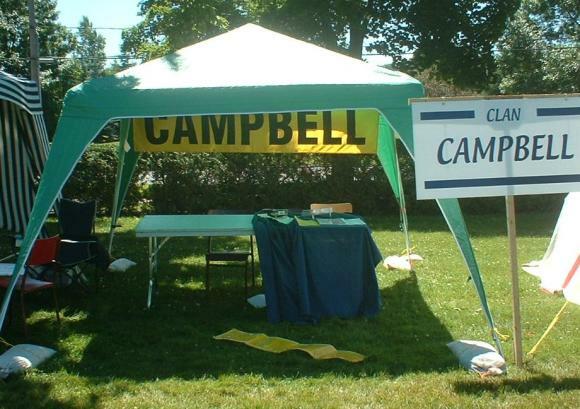 The Clan Campbell tent. The lack of Campbells and the general disarray of their tent had nothing to do with the long standing feud between the Macleans and the Campbells, nor did it have anything to do with the presence of Maclean's with battle axes only two tents away. 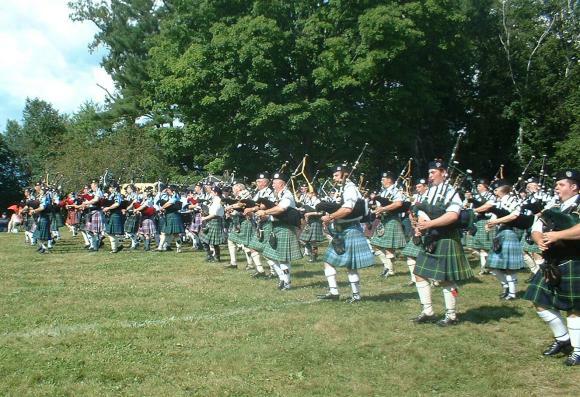 MP3 sound file of the massed bands playing Scotland The Brave. The file is 1.2 MB. Please right click on the graphic to the left and select "Save Link As" or "Save Target As" to download the file. This will let you download the file to your computer. 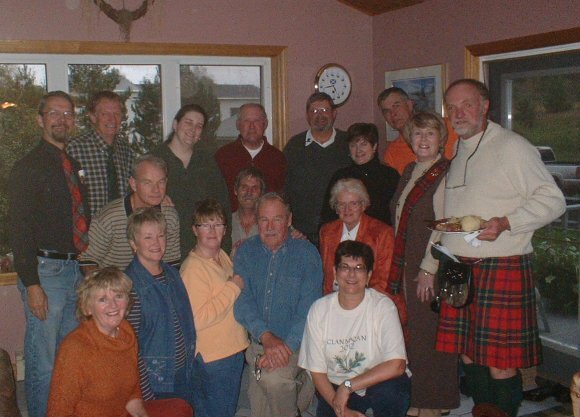 Annual general meeting held Oct 15, 2005, at the home of Rodney and Fiona MacLean.